Justin Bieber gets engaged to model Hailey Baldwin? Hollywood stars Justin Bieber and Hailey Baldwin seemingly got engaged over the weekend. The pair has been dating for a few weeks and have been spotted out and about together. 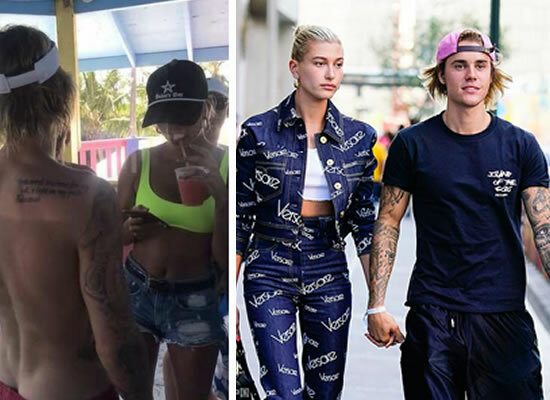 Now, as per a report in a tabloid, Justin popped the question to Hailey in Bahamas where the couple is on a holiday. As per the news, two women saw the engagement at a resort in Bahamas. They revealed that everyone was at a restaurant in the resort when Justin Bieber’s security guards told everyone to put their phones away as something special was going to happen. Justin then proposed to Hailey in front of other guests at the restaurant in the resort. Justin and Hailey had been in a relationship earlier too, but started dating again after he broke up with Selena Gomez. They have been in an on-off relationship. They dated briefly in 2016. The cheerful pair has not issued any statement or posted anything on social media yet. But his parents seem to have shared their excitement on social media after their engagement on Saturday. Justin's dad, Jeremy, shared a photograph of Justin on Sunday with the caption, "@justinbieber proud is an understatement! Excited for the next chapter!"